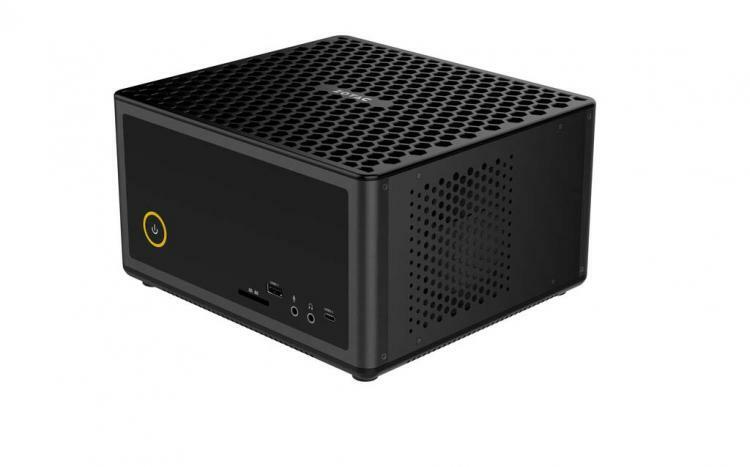 ZOTAC presents its next-generation MAGNUS E Series mini-PCs starting with the MAGNUS EC52070D that comes equipped with an 8th generation Intel Core i5-8400T six-core processor and a ZOTAC GeForce RTX 2070 8GB graphics card. 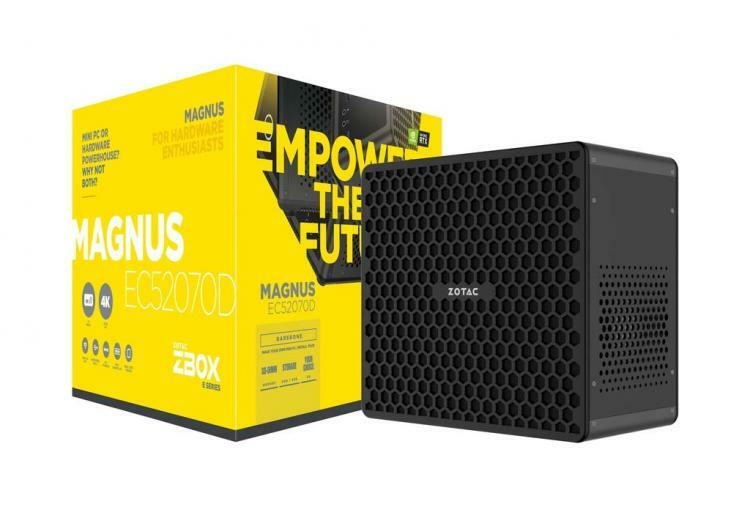 The new ZOTAC MAGNUS E Series is a powerful and versatile PC that can take on anything including gaming, home entertainment, creative workflows, and more. The new ZOTAC MAGNUS E Series features a powerful and efficient six-core Intel Core i5-8400T processor that can handle compute-intensive, multithreaded workloads from gaming to creative content creation. The MAGNUS E Series supports up to 32GB of DDR4 memory. It also supports high-speed NVMe M.2 storage plus a 2.5-inch drive for storage expansion. It also supports Intel Optane Memory Technology which accelerates loading times of applications. The ZOTAC MAGNUS E Series comes powered with NVIDIA’s latest GPUs featuring the Turing architecture. The MAGNUS E Series is equipped with a desktop-sized custom ZOTAC GAMING GeForce RTX 2070 graphics card that supports real-time ray tracing and DLSS. The ZOTAC MAGNUS E Series comes with a wide selection of display outputs including HDMI 2.0, three DisplayPort 1.4, and DVI-D. The MAGNUS E Series PCs supports up to four displays simultaneously. It also comes with six USB 3.1 Gen2 ports with one Type-C 10Gbps port for fast data transfers. The MAGNUS E Series is powered by Killer Networking for both its Wireless and Gigabit Ethernet connectivity. 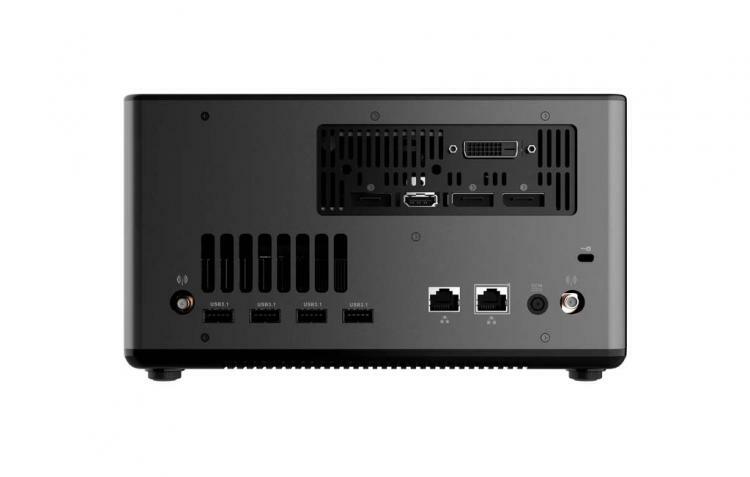 The new MAGNUS E Series currently comes with two models of the MAGNUS EC52070D, a barebone version and a version with Windows 10 OS installed. Learn more about the MAGNUS E Series mini PCs here.